The Hamilton County Republican Party has landed one of the hottest names in national GOP politics as its speaker at the annual Lincoln-Reagan dinner in May - Rand Paul, Kentucky's junior senator. 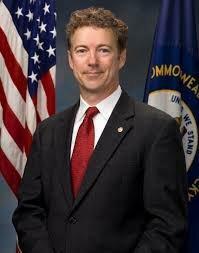 Paul, who was elected to the Senate in 2010, is said to be seriously considering a run for the GOP presidential nomination in 2016. The event will take place on the evening of Friday, May 16, although the county party organization has yet to set the time and place for the Lincoln-Reagan dinner, one of the party's major fundraising events each year. Tickets will be available on the party's website once the final details are announced. For more information, e-mail Maggie Wuellner at maggienpn3@gmail.com. Ohio's junior senator, Rob Portman of Terrace Park, will introduce Paul at the event.